Lenovo once again made a comeback with its new release, unveiling its latest budget smartphone Lenovo K9 in under Rs.10000 segment. It seems that the upcoming Chinese smartphone giant is ready to take its share with its comeback in the market, by launching the successor of much loved Lenovo K8 after a year. Lenovo K9 launched in October 2018 is priced at Rs.7999. As a budget smartphone, Lenovo K9 simply focuses on a budget-oriented target group who want some good specification to work with. Lenovo K9 comes in good colours like Blue and Black. It still needs to be seen how well Lenovo K9 performs against some giant competitors like Xiaomi Redmi 6, Honor 7S, Nokia 5.1, Asus Zenfone Max M2 etc. So, We have discussed Lenovo K9 pros and cons in detail so that you have a clear idea about the strengths and weaknesses of this phone. 5.72-inch HD+ Max Vision IPS LCD capacitive touchscreen with 720 X 1440 pixels resolution. 2.5D Curved Glass on both the front and back panel. 2GHz Octa-core ARM Cortex –A53 CPU with Imagination’s Power VR GE8320 GPU (similar in Xiaomi Redmi6 and Nokia 3.1). Relatively new MediaTek Helio P22 processor (a.k.a. MT6762). 3 GB RAM with 32 GB ROM which can be expanded upto 128 GB via micro-sd card. 3000 mAh LI-Polymer non-removable battery. Good Dimensions -153.80mm(Height) X 72.90mm(Width) X 7.95mm(Thickness). Dual-Rear Camera– 13 MP + 5 MP with Dual-LED Dual-tone flash. Dual-Secondary (Selfie) Camera– 13 MP + 5 MP with single-tone flash. 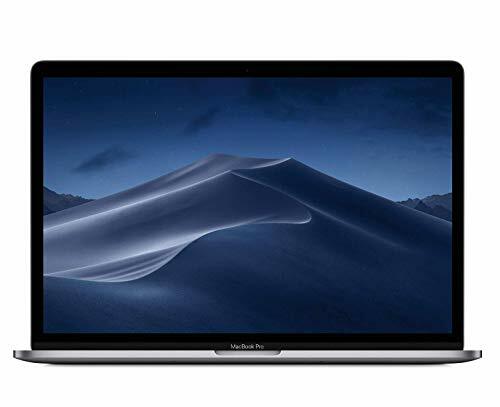 Connectivity – USB Type-C, Wi-Fi, Bluetooth, GPS. Lenovo K9 is a very lightweight and compact-build budget smartphone with a minimalist design. Lenovo K9 features a very glossy body, featuring 2.5D Curved Glass on both the front panel and back panel of the smartphone. With a glossy finish and coming in two colours – Black and Blue, Lenovo K9 is definitely a good attention-seeker smartphone in this budget smartphone segment. It looks stylish and stunning with a glass finish on both the sides, which only Lenovo K9 has to offer in this price segment till date. Lenovo K9 boasts 13 MP +5 MP Dual cameras on both the front and back side of the budget smartphone which are pretty much impressed by the specifications of cameras. This is also the main USP of the budget smartphone. Lenovo K9 features a big and shiny 5.7-inch HD+ Max Vision touchscreen with a resolution of 720 pixels by 1440 pixels of pixel density 282 ppi(Pixels Per Inch). This big display features the 2.5D curved glass and offers an aspect ratio of 18:9. It gives a good visual experience with minimum bezels on the sides, though it has thick borders spaced above and below the screen which carries the Dual cameras, sensors, and earpiece. The HD display is very crisp, clear and bright with details and provides a good visual experience with bright and vivid colours. But there is bit of a problem looking at the screen in sunlight or in outdoors as the shiny screen is too reflective. It offers a screen-to-body ratio of 74.8%. 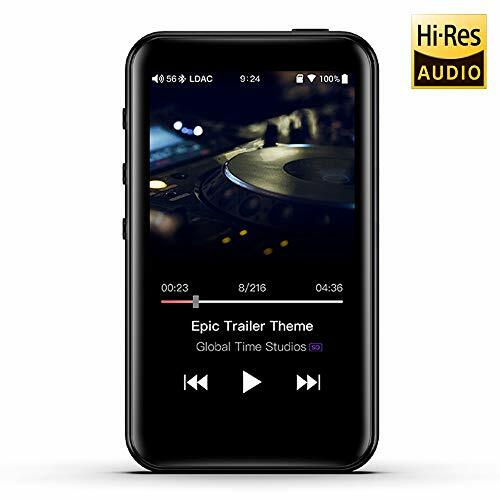 Lenovo K9 runs on Android 8.1 (OREO) operating system which is powered by 2 GHz Octa-core (ARM Cortex –A53) processor with relatively new MediaTek Helio P22 (MT6762) chipset. For good and smooth performance, the budget smartphone features a 3 GB RAM with 32 GB of internal storage which can be extended using a micro-SD card. To deliver a good graphical and gaming experience, it is powered by Imagination’s Power VR GE8320 GPU. Lenovo K9 offers good connectivity with WI-Fi, GPS, 3G and 4G, Bluetooth and the latest USB Type-C too. Lenovo K9 sports a boastful specification of (13 MP lens+ 5 MP lens) Dual-Rear camera as well as(13 MP lens+ 5 MP lens) Dual-Front (Selfie) camera. The camera captures good photographs with soft colour tone but with a little blur on the details in the daylight. While in Indoor lighting condition, it captures fairly good images. The overall camera experience of Lenovo K9 is good comparing the low price of the budget smartphone. 13 MP + 5 MP Dual-Front shooter take good selfies. It comes with some pre-loaded modes and filters to enhance your selfies. The selfies taken have good details with good colours. There are Bokeh mode and Portrait mode too for taking Selfies. Lenovo K9 comes with a reasonable 3000 mAh battery. The smartphone works fluently throughout the day, performing daily tasks leaving you happy for the daily experience on the budget smartphone. You can charge your smartphone with the USB Type-C from 0% to 40% in 40-45 minutes, which is a bit slow for USB Type-C support. Lenovo K9 have basic other sensors like Fingerprint sensor, Ambient Light sensor, Accelerometer and Proximity sensor. To add on, Lenovo K9’s fingerprint sensor is quite responsive. Lenovo K9 have a bit slippery body and one has to be very careful while holding it. Without a back cover, you might end up with lots of scratches and fingerprints on the rear side. Lenovo K9 offers a good camera setup but both the camera setup lacks in delivering a good photograph when there is less amount of light. Unnecessary bloatware and apps are pre-installed. There is a lot of stuttering and lags in the experience while playing games and even in scrolling play store. The visual experience is good but there is a noticeable frame drop while playing heavy games. The phone works well for day-to-day usage but doesn’t deliver a smooth experience playing heavy games like PUBG, Real RACING 3. There is no dedicated micro-SD card slot provided in Lenovo K9. Either one can put a second SIM card or a micro-SD card in the phone, which will be a problem for 2nd SIM-card holders. So this was our take on the advantages and disadvantages of the latest Lenovo K9, read further for our final words on whether or not you should buy this smartphone. Is Lenovo K9 good enough to be owned? Is it worth buying this expensive smartphone? Lenovo K9 is definitely a good choice for such a low-priced budget smartphone, as Lenovo K9 is the only one offering stylish and glossy looks in this price segment. The smartphone performs pretty well in day-to-day tasks. Lenovo K9 sports good rear and front camera which can give good results with some update. Lenovo K9 only lacks on the entertainment part with average cameras, average speakers and lagging gaming experience. The Rear Glass panel can be protected by using a transparent silicone back cover without hiding its attractive glossy finish. 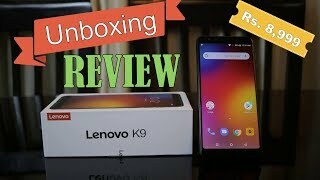 Still, if you any doubt after going via the Lenovo K9 Pros and Cons or its conclusion then ask your question in the Comment and get Answer immediately. Also, If you are looking for other high-quality Tech reviews or list of best gadgets then google it like “best phones under 10000 topbestof” or “best earphones under 1000 topbestof”, “Lenovo K9 topbestof” or in general “what you want + topbestof”. We hope you like our post-Lenovo K9 Pros and Cons and for any doubt feel free to ask via comment.